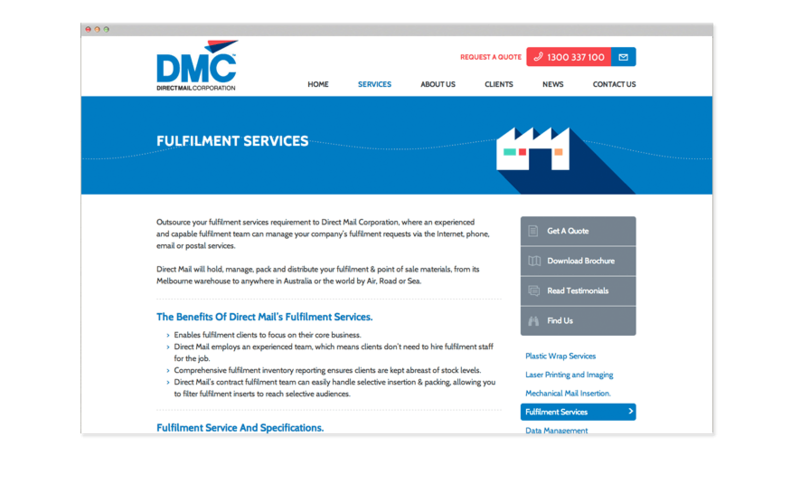 The DirectMail Corporation is a leading Melbourne mail house offering a full range of postal and logistics services. 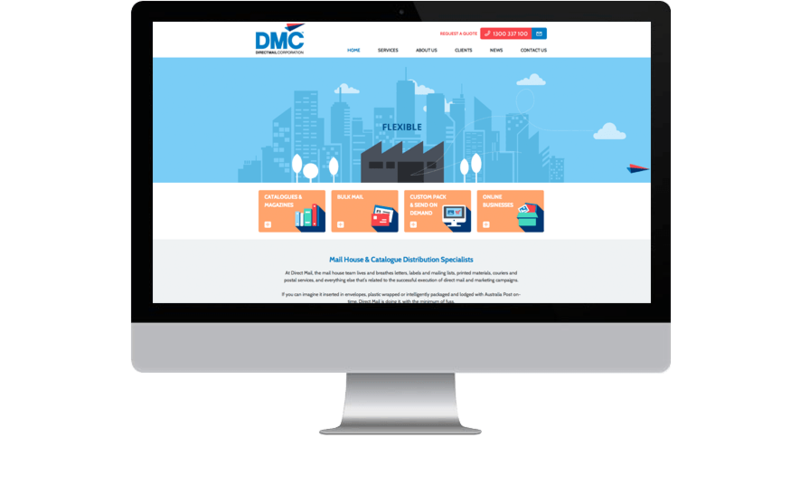 When it was time for this client to update its look, it turned to Digital Thing to design and create an online presence that encapsulated its brand proposition and provided improved branding resonance with its clients. The new-look Direct Mail website is built upon a WordPress CMS platform which allows DMC to easily update content, testimonials and brochures. 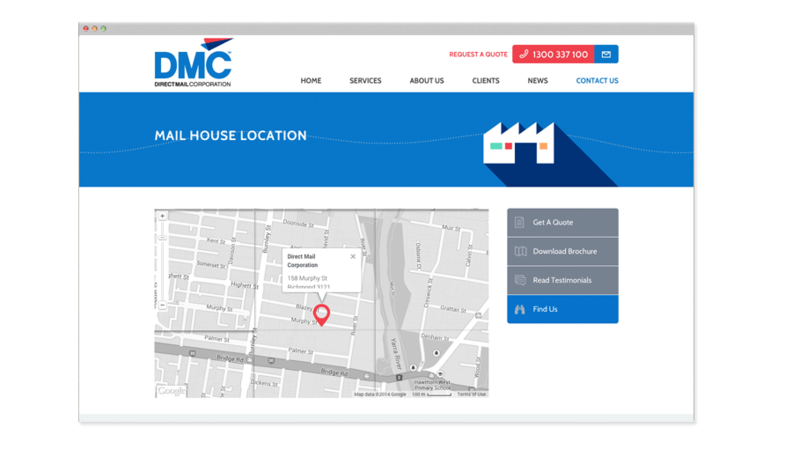 It features animation in its header to create visual interest and to reinforce brand attributes and highlight key DMC service areas.